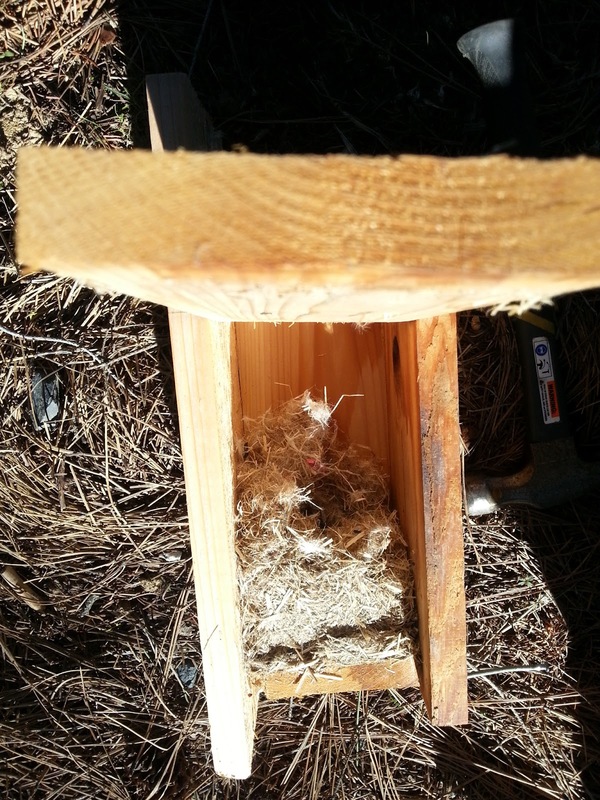 Small Forest Timber Owner Blog for WA: Birders, Can you identify these PNW bird nests? This week we inspected and cleaned the bird boxes we installed in late 2011. We found three distinct types of nests. Do you know what birds built them? Use the comment section to help us identify them. We found examples of three distinct types of nests, and some interesting odd nests. Nest type "A" was made of fine blades of tall grass and was found in pine (meadow) and fir (slope) stands. They were clean -- there were no feathers, trash, hair, or shell fragments in these nests. 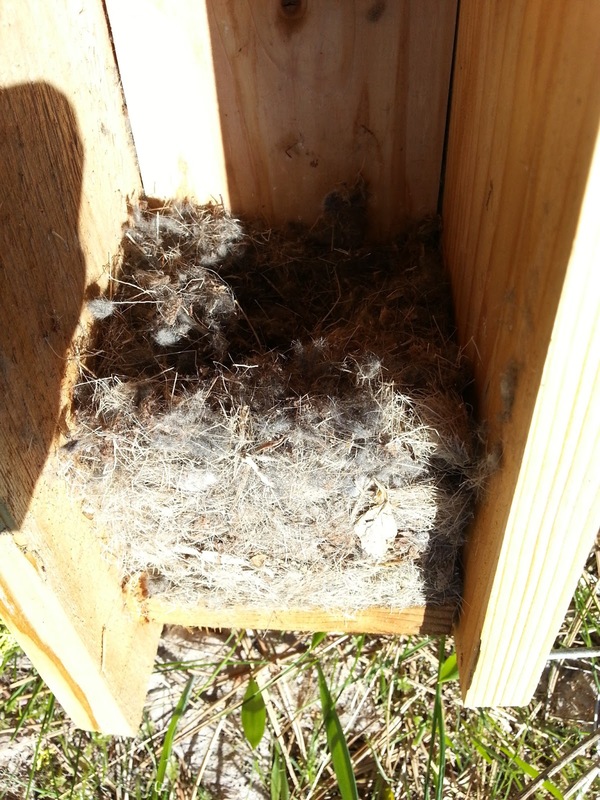 Seven boxes contained this type of nest. One of those appeared to have been taken over by a squirrel or chipmunk, guessing by the deep hole, trash, and droppings. Four more boxes contained just a few blades of grass but not completed nests, as though they were tried but abandoned. and was found in pine and fir stands. Nest type "B" was made of twigs and was found only in the pine stand around the meadow. Among the twigs were the feathers of various birds, sometimes mixed with a little man-made trash or tall grass. 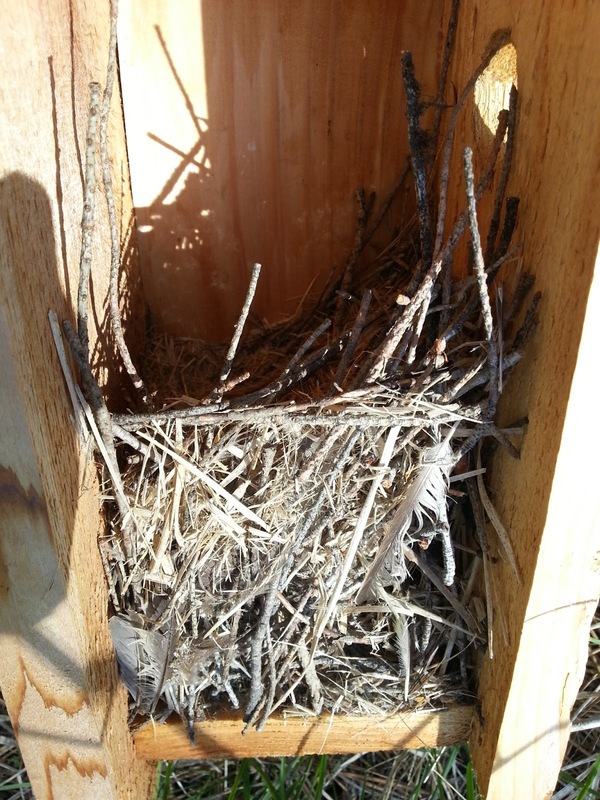 Seven boxes contained this type of nest. One of them appeared to have changed hands -- it had a type A nest built inside it. One more box had some sticks but not a complete nest. in the pine stand around the meadow. Nest type "C" was made mostly of hair and the one specimen was found on a pine tree in the meadow. There were balls of fine gray fur, a sizable tuft of deer fur, and everything in-between. There also were feathers and fine grass mixed in. was found on a pine tree in the meadow. Two of the twig nests had a few very sluggish bees in them. One of the boxes with a grass nest also had small (1.5 inch) empty wasp nest (snack vending machine?) on the interior roof. Only three nesting structures were completely empty; one of those had some nut shells left by a squirrel-like critter; one had a wasp nest. All of the boxes are cleaned out and ready for this summer's birds. 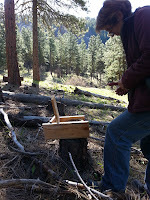 Each location is numbered so we can determine over the years whether the same species use the same boxes. 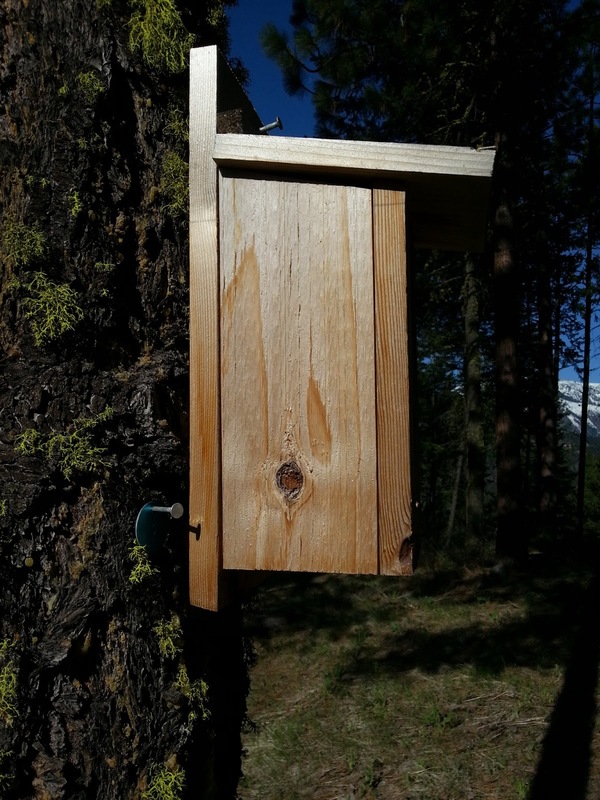 Another 15 bird boxes are scheduled for installation here this year, along with 5 bat houses. The USDA's NRCS is funding this effort through EQIP grants. Thanks to NRCS Okanogan office and US Fish & Wildlife for help with nest identification.